The Amazing Shrinking (and Sideways-Moving) Car! "It is able to reduce it's own size by about 80cm, which makes it almost as small as a bike in length. And with this kind of feature you can go into very tiny parking spaces," he says. "You are still able to turn on the spot, you are still able to drive sideways and you are still able to connect to charging stations, for example." 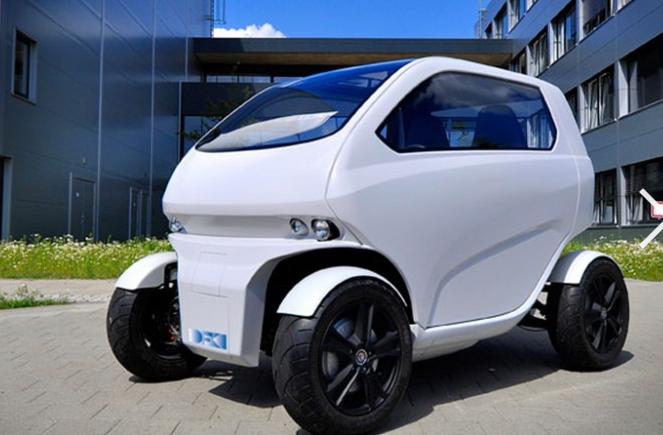 But now a team of German engineers have come up with an ingenious solution -- a "flexible" electric vehicle capable of shrinking, driving sideways (think like a crab) and turning on a dime.